In the 1950’s, dueling manifestos attempting to define the true potential of electronic music emerged from France’s GRM and Germany’s WDR Studios. Within ten years, the manifestos insisting on pure ‘Concrète’ or ‘Elektronische’ approaches had given way to a flood of composers availing themselves of every available technique. But if Louis and Bebe Barron’s liner notes for Forbidden Planet, describing their interest in cybernetics, feedback, and self-playing circuits had emerged in 1950 instead of 1976, it would have held up historically as a prescriptive statement of purpose for the next twenty years of compositions investigating feedback as the defining idiomatic voice of the new medium, and the central organizing principle for a live performance method. 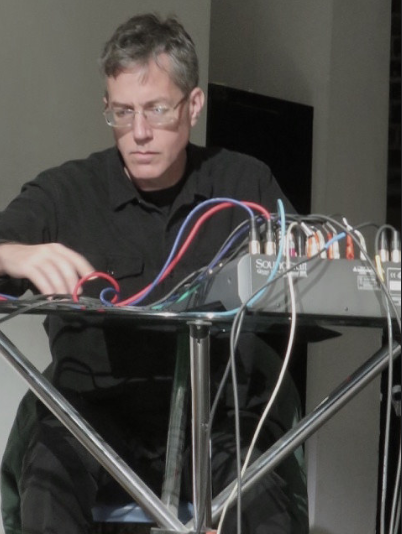 This lecture traces commonalities in the works of the Barrons, Vladimir Ussachevsky, David Tudor, and the members of the Sonic Arts Union: Robert Ashley, Alvin Lucier, David Behrman and Gordon Mumma, before flying across the Atlantic to include the work of Eliane Raidgue, Jaap Vink and Roland Kayn. Sponsored by DH@CC (Digital Humanities at The Claremont Colleges).